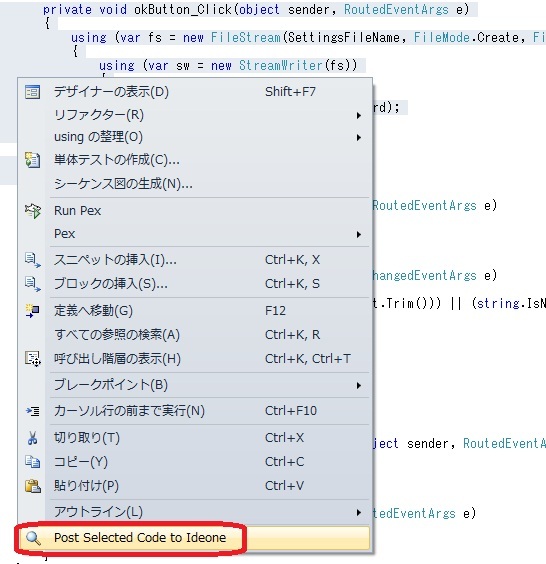 This is extension to post code that selected in code editor to Ideone.com. Ideone RightClick Uploader is tool to post your code to Ideone.com by Ideone API. You can upload selected code in code editor from context menu.